Speaking at a conference with his Russian counterpart, the foreign minister of the United Arab Emirates maintained that President Trump’s travel ban on several Muslim countries is not anti-religious or otherwise prejudiced against Muslims. 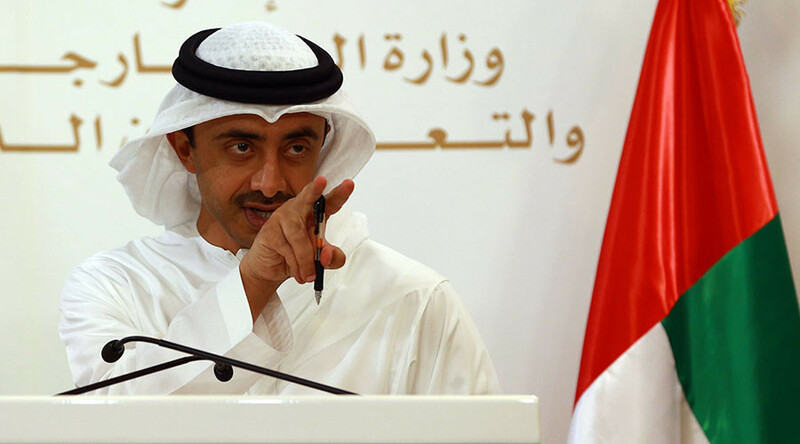 According to Emirati FM Sheikh Abdullah bin Zayed Al-Nahyan, President Donald Trump’s order to bar individuals from certain Muslim countries from the US is a “sovereign decision” that would be a mistake to interpret as anti-Muslim. “Without doubt, countries have the sovereign right to make decisions to ensure their sovereignty. The US president used this sovereign right,” the UAE’s top diplomat said. “There are attempts to claim that this decision is aimed against a religion, but it is not aimed against a specific religion, this is a temporary decision, it is important to take these points of view into account,” he continued. The Emirati FM was speaking at a joint press conference with Russian Foreign Minister Sergei Lavrov. The UAE is one of America’s primary allies in the Gulf region. It is also involved in the Saudi-led coalition’s air campaign in Yemen, and the fight against Islamic State (IS, formerly ISIS/ISIL). Another major US ally in the region, Saudi Arabia, did not take any official position on the travel ban. However, its national airline, Saudi Airlines, controlled by the Saudi royal family, issued a statement saying that citizens from the seven countries affected by the ban "will not be permitted to travel with Saudi Airlines. Citizens with diplomatic visas or who work for international organizations and hold valid visas are an exception," as reported by CNN. Meanwhile, a group of UN experts also sharply criticized Trump’s travel ban, saying that it violates international law and could lead to refugees being tortured if sent home. 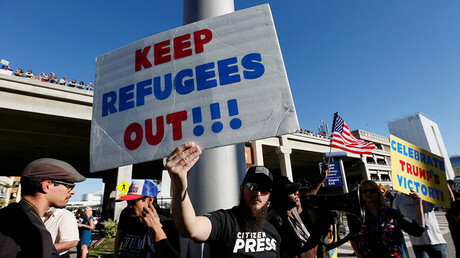 The experts also urged the Trump administration to protect people fleeing persecution and stick to the principle of non-discrimination based on race, nationality or religion in a joint statement. 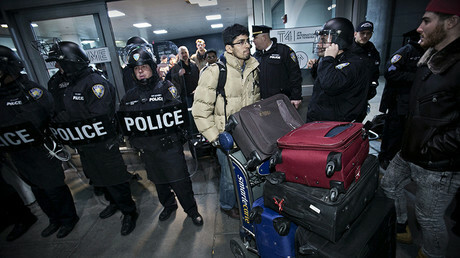 "Recent US policy on immigration also risks people being returned, without proper individual assessments and asylum procedures, to places in which they risk being subjected to torture and other cruel, inhuman or degrading treatment, in direct contravention of international humanitarian and human rights laws,” the statement says. On Friday, President Trump chose to block citizens from seven Muslim countries from entering the United States for a period of 90 days to prevent “radical Islamic terrorists” from carrying out attacks on American soil. The countries included in the ban are Syria, Iran, Iraq, Libya, Somalia, Sudan, and Yemen. Another of Trump’s executive orders puts a 120 day ban on all refugee admissions. Sheikh Abdullah also welcomed the idea of creating safe zones in Syria if they were temporary, served only humanitarian purposes, and were established under international supervision. The FM said he would like to hear more ideas from Washington on the matter. For his part, FM Lavrov said that Russia could support the idea, but only with the agreement of the Syrian government and close cooperation with it. The FM pointed out that Washington’s initiative is markedly different from that which has been proposed by other Western partners. “There have been ideas of creating some areas where an alternative Syrian government could sit, and use those areas for regime change,” Lavrov said. According to Saudi Princess Basmah bin Saud, the countries on the travel ban list have been carefully chosen. “It’s not unexpected. I mean – the president has been lobbying for this from day one," she said in an interview with German broadcaster Deutsche Welle. “Definitely, they were very well chosen,” she noted. The Saudi princess said the ban is to do with the association of these countries with numerous issues involving immigration, terrorism, security and others. Saudi Arabia has itself been linked by some US officials to the 9/11 terrorist attacks. “I can only trace 9/11 to something Saudi Arabia, you know, has had a [hand in],” the princess said.